The widest range of rental vehicles in Southern Africa spanning 40 locations. Click to see the full range! 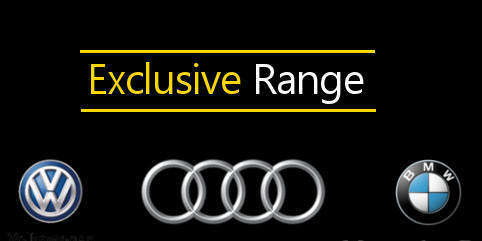 Hertz Southern Africa proudly presents our new Exclusive Range. Take the guessing game out of car hire and rent one of our exclusive single-model vehicle groups. Hertz allows selective vehicles groups to cross the borders into African countries. Join the Hertz Affiliate Program and start earning commission on bookings made through your website. Hertz Rent A Car operates as an international franchisee of the global Hertz Corporation throughout southern Africa. The Hertz brand has been driving the corporate, government and leisure car rental markets in South Africa since 1950 and continues to be a respected and instantly recognizable brand in the vehicle rental sector. We are proud to be a division of Unitrans Automotive, a major vehicle dealer group that operates across a network of over 90 dealerships and specializes in a broad range of motor and related products and services: from the sale of new and used passenger cars and commercial vehicles, through to vehicle service, parts and accessories. Hertz currently has over 45 branches strategically located at major hubs throughout South Africa. Hertz has five locations in Namibia being Hosea Kutako International Airport, Windhoek Downtown, Windhoek Hilton, Walvis Bay and Ondangwa International Airports. And since May 2015, the Hertz brand has had a strong presence at five strategic locations in Botswana namely Gaborone’s Sir Seretse Khama International Airport which is the main gateway to the country, in downtown Gaborone and at Maun, Kasane and Francistown airports.